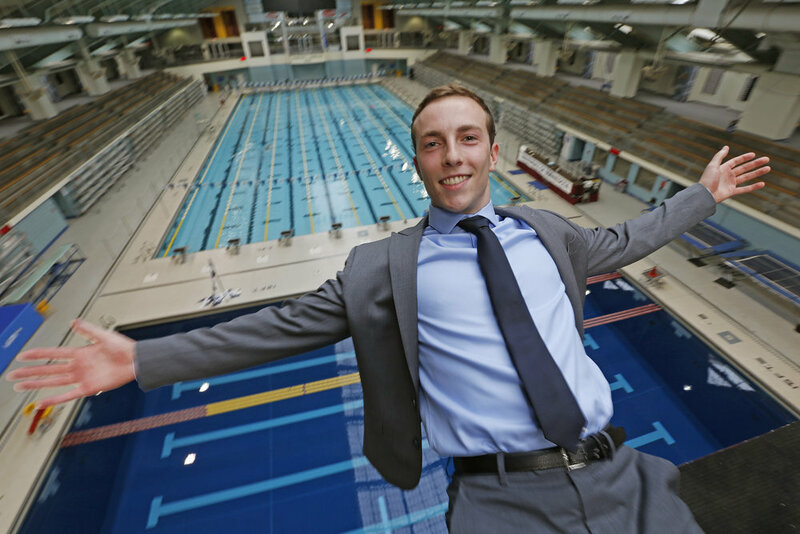 The first time Alan LeBlang ever peered over the 10-meter platform and dove into the water more than 33 feet below was at the Jean K. Freeman Aquatics Center on the University of Minnesota campus. It takes a different kind of athlete to ignore the part of the brain that insists jumping from that height is a bad idea, and embrace the challenge and thrill of high diving. Needless to say, LeBlang is different. A supply chain and operations management major – something that also makes him different from almost all other Gopher student-athletes – LeBlang will fearlessly dive into the professional world after two more seasons diving at Minnesota.